Rinse kale and dry completely. Remove stems and coarsely chop. 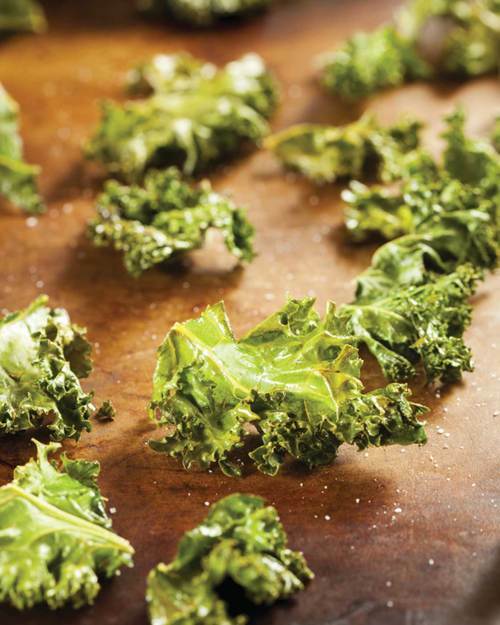 In a large bowl combine the kale with olive oil, apple cider vinegar, salt, pepper, red chili flakes and Italian herbs. Coat evenly. Arrange seasoned kale on a large rimmed baking sheet.